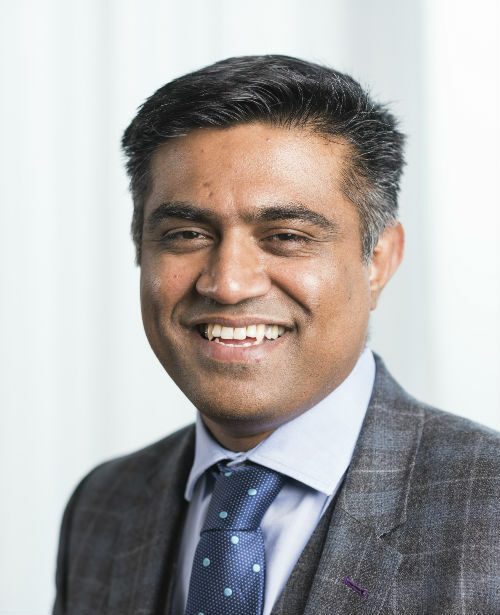 Mr Unnithan is a Consultant Orthopaedic surgeon specialising in hip and knee surgery, including revision surgery and complex trauma surgery. On completion of his undergraduate studies he completed his basic surgical training in Surrey and Sussex before undertaking a Masters in Musculoskeletal science at University College London and the Royal National Orthopaedic Hospital. He completed his higher surgical training on the South-West London rotation during which time he spent a year doing a trauma fellowship in New Zealand. Total hip replacement including young total hip replacement, revision hip replacement, total knee replacement, unicompartmental knee replacement, osteotomy, knee arthroscopy and meniscal repair. Upper and lower limb trauma including complex peri-prosthetic fractures. Mr Ashwin Unnithan does not hold a share or financial interest in this hospital, another Nuffield Health hospital or the company. Mr Ashwin Unnithan does not have a share or financial interest in equipment used at this hospital or another Nuffield Health hospital. Mr Ashwin Unnithan does not hold any paid advisory role(s) at this hospital or on behalf of Nuffield Health.